Vicki runs a weekly book prompt where we share the first chapter or paragraph of our current/about-to read. 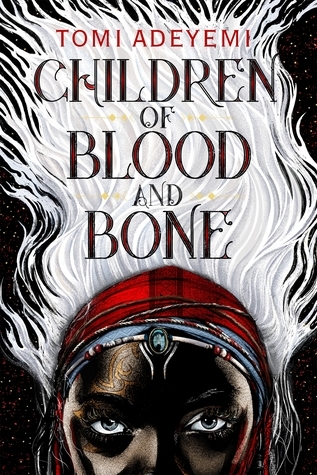 Today I’m going to give you a sneak peek to the wildly successful debut, Children of Blood and Bone (Legacy of Orïsha #1) by Tomi Adeyemi. Wow this first insight into the book makes me realise what all the hype is about! The writing is so beautiful. Well that got my heart racing on a Tuesday morning! This has gotten so much buzz — I’ve added it to my list. I’m not a huge fan of the author, but I do want to see what the hype is about! I’ve heard so much about this book. I hope you enjoy it. This week I am featuring The Fated Sky by Mary Robinette Kowal. Happy reading! I’ve read great things on this one but, it just doesn’t seem like a “me” book. Hope you enjoy it. Tbh, me neither. I’m just trying to give all popular YA books a go.